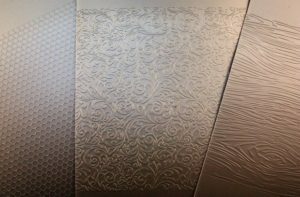 A report that released this week from BCC Research in the USA, announced that the tactile printing market will grow by 60 percent. The experts predict that the industry will be worth $1.9bn in 2022, globally. They cite the reason being the growing demand for innovative packaging. The report says that businesses are now seeking out-of-the-ordinary packaging to grab a consumer’s attention. More and more consumer business are using tactile features like embossing and debossing for their packaging and labels, which is driving a boom in dimensional printing. We are excited to be one of Australia’s leaders when it comes to emerging technologies around this trend. We have seen print embellishments go from a luxury add-on to a key marketing strategy for brands looking to cut through. This is why we have invested in CLIQX technology. With CLIQX, printers are now able to offer everything from braille printing for the visually impaired, to a crisp emboss or deboss. Now, it seems, the market is truly realising that there is more to this than just zhuzhing up your product packaging or business cards. Tactile printing has a number of functional purposes and is driving purchasing decisions. Watermarx has been in on this secret for a long time. Our passion for the romance of print is inspired by the powerful impact that we know can be made when you engage your customers’ sense of touch. We didn’t need a report to prove it, but we’re chuffed that research is now saying what we have known all along! Talk to us anytime about how we can get your customers’ senses tickled with the sensory delights of tactile printing. TEXTURED STOCK | We are now texturing digital paper! Watermarx has just expanded our capabilities to offer you the option to have us create textured stock for you. If you are looking for a specialty digital stock, then it’s slim pickings on the market right now. There are not many high-quality papers available with specialty features. So. why not consider having us texture a stock for you? We select from plain stock and apply a fine embossed texture over the whole page, and…voila! A bespoke specialty stock for digital printing. We can texture before or after printing, so we can even add it to a job you think needs a little more oomph! The featured image in the top right is a recent job we emboss on polypropylene sheets, which creates a very high-definition profile. Texturing on digital paper is not as sharp, but it does add a very lovely, subtle effect to the stock. Try it! Textures papers can be a creative element of a print piece that elevates it and sets it apart. It is definitely a powerful way to communicate premium quality. Nothing says “high end” like a lushly textured pattern that makes you want to run your hand over the surface, luxuriating in the touch. 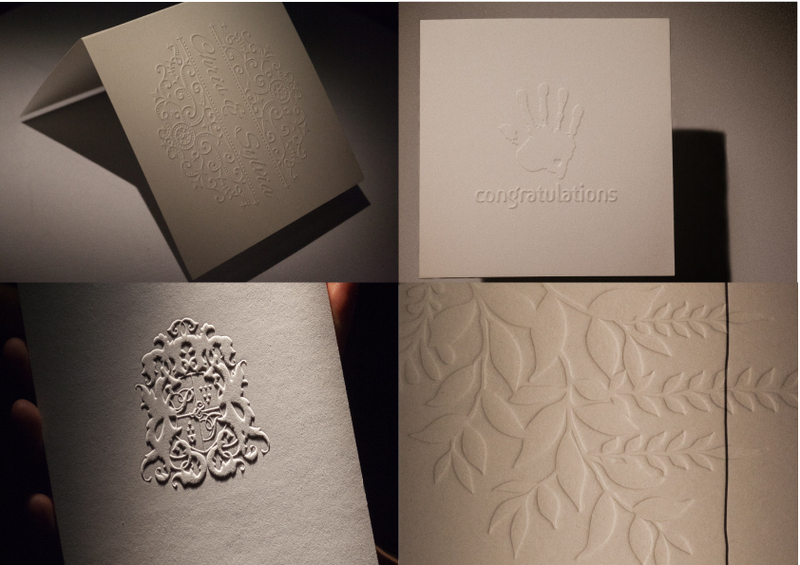 We see it used beautifully for exciting invitations and luxury brand stationery. We can custom texture as well – talk to us about your job, and together we ca n come up with something that fits the spec and brings a little tactile magic to it. 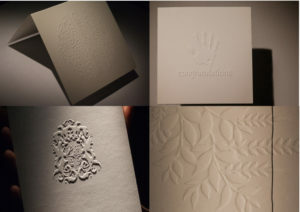 Or, if it’s an old fashioned emboss you are after, we have always been able to emboss a high-profile texture onto paper card and polypropylene for a WOW effect. So, next time you call, ask us about our every-expanding textures library, or how we can emboss your next job. We’re experimenting all the time here at the lab. More on this coming soon!